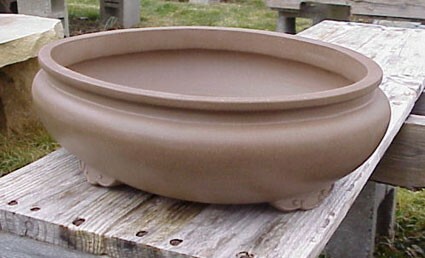 13.5"X10.5" Large, low pot. 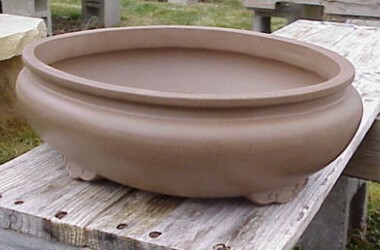 Double-fired, unglazed, light tan. Classic design with globular, potbelly look. Three-lobed, cloud-shaped feet.